In 2009, the U.S. Department of Justice, Civil Rights Division launched an aggressive effort to enforce the Supreme Courts decision in Olmstead v.L.C., a ruling that requires states to eliminate unnecessary segregation of persons with disabilities and to ensure that persons with disabilities receive services in the most integrated setting appropriate to their needs. 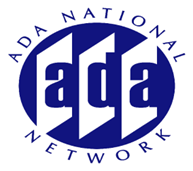 The Civil Rights Division has responded by working with state and local governments officials, disability rights groups and attorneys around the country, and with representatives of the Department of Health and Human Services, to fashion an effective, nationwide program to enforce the integration mandate of the Department's regulation implementing title II of the ADA. Join this session as we hear more about these efforts including how the integration versus segregation mandate has been applied to employment.